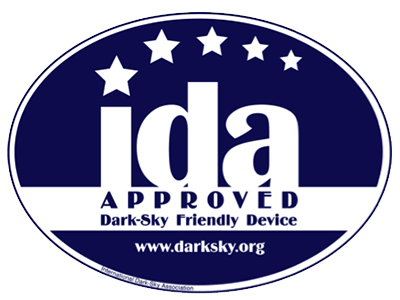 The International Dark-Sky Association (IDA) is the authoritative voice on light pollution. Their promotion of quality outdoor lighting and safety recommendations are quickly becoming industry standards. 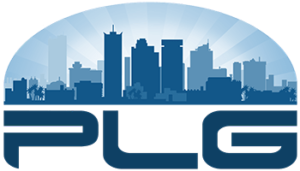 PLG prides itself in being ahead of the curve and championing IDA standards. The IDA has developed a set of recommendations for choosing lighting systems. These recommendations aid in the energy, safety, and security fields and promotes dark night skies. PLG works tirelessly to accomplish meet these recommendations in the following ways. In order to prevent light pollution PLG focuses on adapting non shielded fixtures and converting them into IDA approved fixtures minimizing glare and uplight. Below are several IDA discouraged fixture examples and our acceptable fixture replacements. PLG provides a range of warmer color temperature options for our LED retrofit products, directly combating the harmful effects of blue light. LEDs are dimmable, and have little to no warm up time, which means they are running at full brightness as soon as the begin running. These features generate large savings on energy as well as simultaneously reducing light pollution. Unfortunately over lighting is a common practice when it comes to outdoor lighting and PLG practices a system of photometric analysis to avoid it. Outlined by the Model Lighting Ordinance (http://www.ies.org/PDF/MLO/MLO_FINAL_June2011.pdf) created jointly by the Illuminating Engineering Society (IES), a benchmark of lighting practices,and the IDA, PLG’s photometric analysis system ensures that light is only placed in the exact space and in the amount required for each individual location. By taking the initiative and sending engineers into the field for site surveys and light readings, PLG can confidently claim that our proposed fixtures will meet IDA standards.